Michael Lewis, the CEO of RealD, managed to turn off a number of investors this week, when he failed to acknowledge that the downturn of 3D movies in cinemas as a trend. 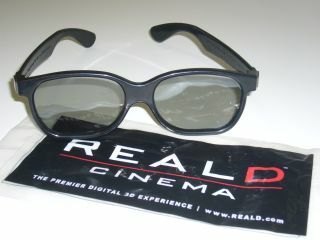 Before his speech, RealD's stocks had jumped, due to the company posting strong results for the quarter. According to RealD, it made a profit of £4.5 million. When compared to a £20.9 million lost in the same quarter last year, this is impressive. However, when Lewis spoke to RealD's investors, according to Deadline, something went a bit wrong. In his briefing he explained that despite the latest Pirates of the Caribbean movie and Kung Fu Panda 2 disappointing in 3D sales, there was no sign that 3D viewing was on the wane. "I don't see a trend. It's a trend until the trend changes to something else," said a cryptic Lewis. He also added that this year "will be all over the place, but the end result will be a good one. "I don't think you can really read that much into a couple of films' performance." This unfortunately brought stock prices down 7.4 per cent.